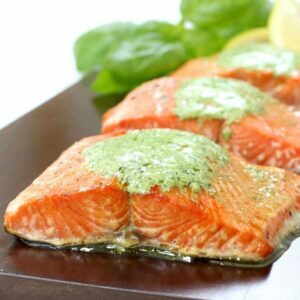 This Cedar Plank Salmon with Basil Cream Sauce is the best way to grill up your salmon filets, and the basil cream sauce is going to blow you away! Salmon is a fish that I think takes some getting used to. My boys absolutely love it, in fact they’ll order it in a restaurant almost every time they see it. My little guy was so excited when we were in Disney World at the California Grill that they actually had salmon on the “kids menu”…no chicken fingers for him that night. But for me, I’m working my way into liking salmon. I love salmon burgers as a good swap out for beef, but it’s still not a dinner that’s very high on my list. 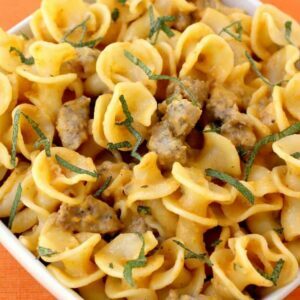 The basil cream sauce is where it’s at for this recipe. 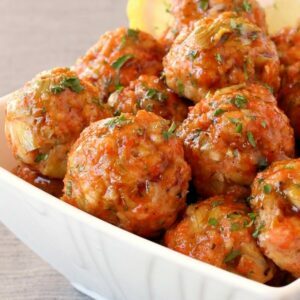 You could even throw the salmon filets in the oven or pan fry them as long as you make this sauce and it’s going to be amazing. 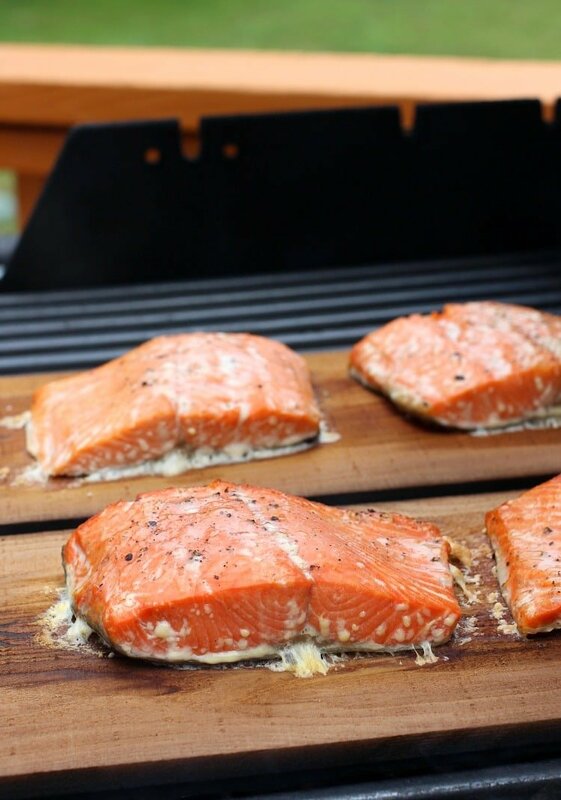 But the cedar plank on the grill does give another level of flavor here – it smokes the fish and flavors it with cedar as you’re grilling it. And since we grabbed our cedar planks at the grocery store for about 5 bucks for two…I think we’ll be making this a lot. Then you just top it with a big spoonful of that basil cream sauce and that’s it – a total gourmet dinner in less than 15 minutes. Oh – wait, what – the sauce? Yep, that only takes about 3 minutes to make right in your blender. That’s right – you’re blender. This is a no-cook basil cream sauce. 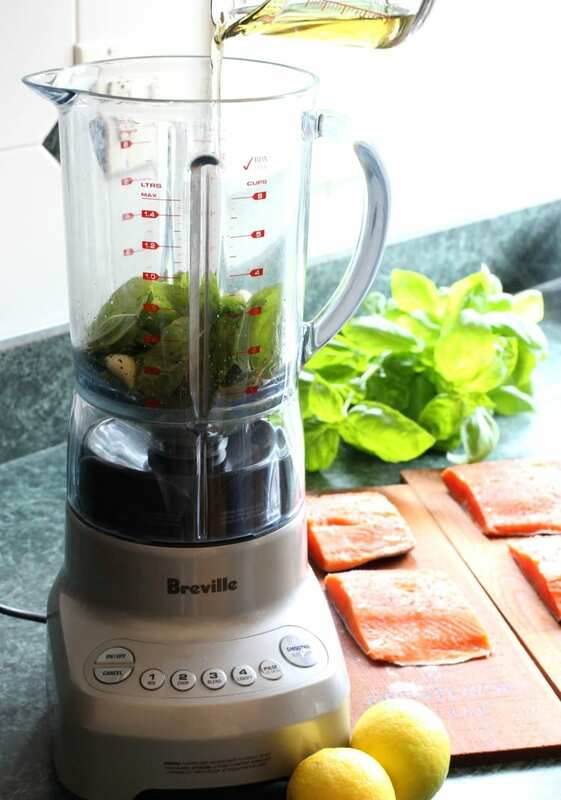 Just add fresh basil, garlic, olive oil lemon juice and cream to your blender. 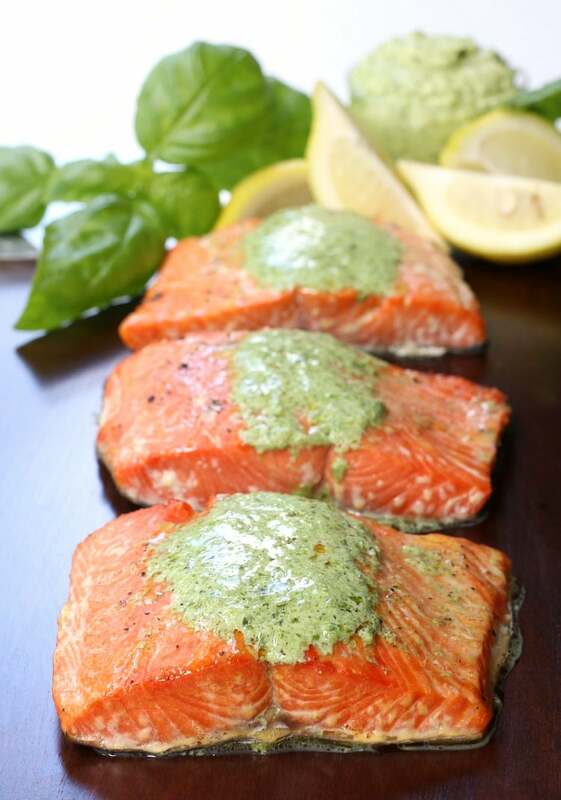 The sauce is thick, but once you place a scoop on your hot salmon filet it melts all over. Don’t worry when you refrigerate it and it hardens up on you, it’ll melt again whenever you put it on anything hot. It’s almost like a flavored butter that people put on steaks, but this one you make it right in your blender. Nice, right? And, yes. Definitely use this sauce to top your steak too. Or that grilled chicken or pork or any other fish you might be eating…it’s going to make whatever you’re eating taste a million times better. 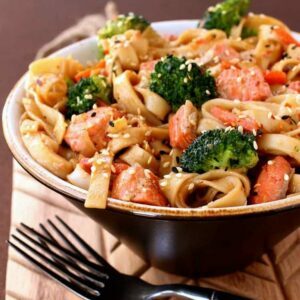 Let me know if you can get one of your non-salmon loving family members or friends to try this…I bet you’ll be making it for them again! 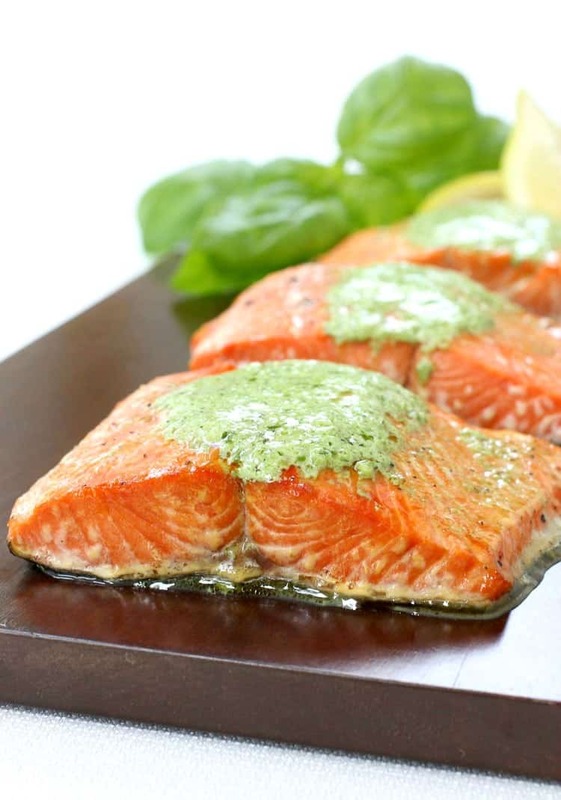 Season the salmon with salt and pepper, then drizzle with olive oil. 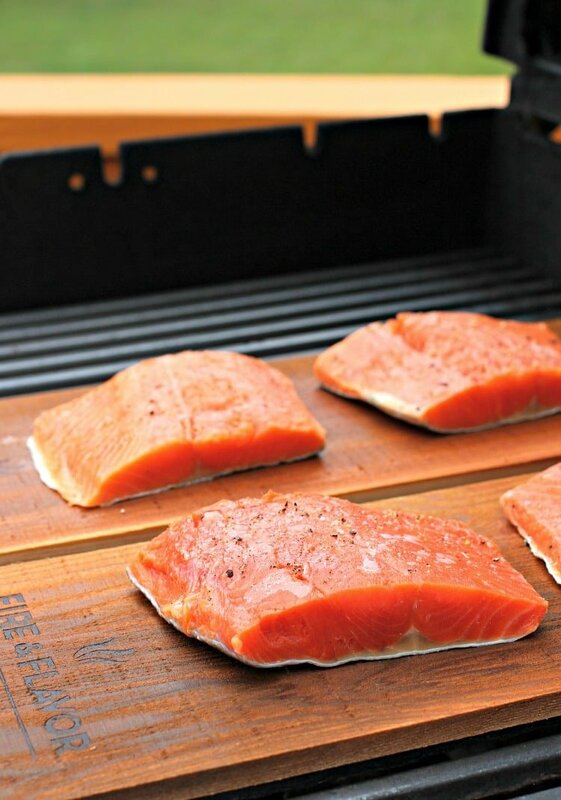 Place on the cedar planks and grill over medium heat (about 375) for 12-13 minutes. I can see from your recipe, pictures and comments that your close to being a salmon convert but maybe not there yet. May I suggest cooking it less, for 1″ thick I suggest grilling or pan searing for about 4 minutes per side. It will not be pink all the way through, it might still have a little red, it will melt in your mouth and have no hint of the dryness you’ll get from the 12-15 minute version. Best part will be the fresh, non-fish flavor. Yes Denny I am close! I do like this recipe and I will certainly eat it. It’s just not my “go to” dinner – yet. My boys love salmon though so we eat it often. I’ll definitely try the 4 minutes per side cooking time! Salmon is one f those fish that definitely needs to be fresh (preferably not farm raised). The frozen versions from the store just lack that flavor. I have frozen my fresh filets with good success, but seldom have I found a good frozen filet from the market. As mentioned in previous comment, don’t overcook salmon. I don’t even time it anymore, I use the fork method. When the ends flake, I then check the middle. When the middle is close to flaking with a nice pink center (not jelly like) I pull it off and let it set while I get everything else ready to prepare the meal. Salmon in general is one of my favorite meals. Keeping it simple is always the best as it is a delicate fish. I cringe when I see people who blacken Salmon. The seasonings just overpower the flavor. For seasoning, I generally only use a little olive oil rub down, then season with Himalayan Pink Salt and a three pepper medley. I find that a sauteed spinach pairs well. Enjoy your discoveries into the world of Salmon.